The first Auto Expo was held in the year 1986. The Auto Expo has grown bigger and better since then. The Expo provides a stage for the companies to present their capabilities and the enthusiasts to know about the latest technologies in the industry. Along with the popularity, the expense that the companies incur for each auto show has increased marginally. Many leaders in the market are talked to have not booked a stall for themselves in the Auto Expo 2016. The Expo 2016 is just at the doorstep, ready to surprise us between 5-9 February at Greater Noida, Delhi NCR. The Auto Expo 2016 is expecting great launches in all the sectors and segments of the industry. The excitement among the enthusiasts is on an all-time high. At such a time, we bring to you Top 5 bikes to look for at the Auto Expo 2016. BMW Motorrad has recently unveiled the very much awaited made-in-India, BMW G310R at the EICMA 2015. The bike is the first product of the BMW-TVS collaboration. It is designed by BMW Motorrad at Munich, Germany. But, it will be only produced in India at the TVS manufacturing facility. The new bike is powered by an all-new 310 cc, single-cylinder, DOHC engine that produces 34 HP at 9,500 RPM and 28 NM of torque at 7,500 RPM. The cylinder-head is rotated 180 degrees and the cylinder is canted backwards which provides more room for air and fuel mixture and also provides a better center of gravity for stable handling. The braking department is handled by a 4-piston 300 mm disc at the front, and a 2-piston 240 mm disc at the rear. 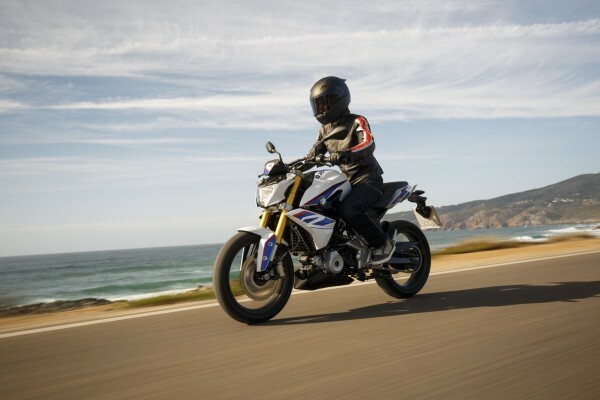 The G310R is the smallest capacity bike from the German automaker. It is the prime product to look for at the Auto Expo 2016. The Hero HX250R was showcased at the Auto Expo 2014. Since then, Hero followers are waiting for the company to pull the cloth off the production HX250R. 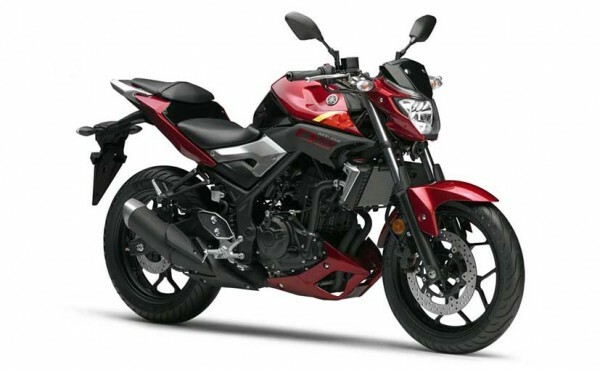 As the name suggests, it is an entry-level 250 cc motorcycle. The bike with its fairing and split headlamps looks sporty. The Hero HX250R is powered by a 249 cc, single-cylinder, probably liquid-cooled, engine that is expected to produce somewhere betweem 30-35 HP and a peak torque of 26 NM. If launched, this bike will attract a lot of attention to it due to the long wait. This bike is expected to cost INR 1,50,000 to 1,75,000. 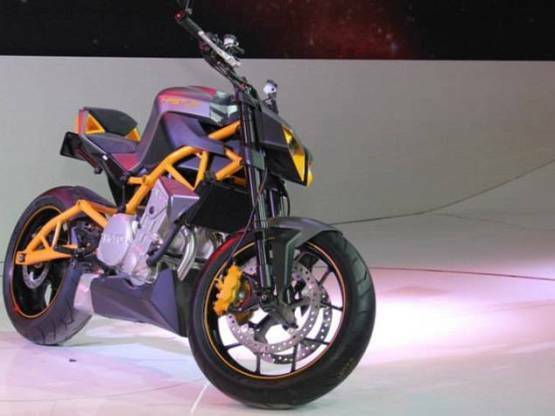 This is another bike that grabbed some eyeballs during the Auto Expo 2014. The Hatsur is a naked bike that is capable of doing what we never expect from Hero. The bike’s specifications are something you won’t believe initially, but these are the claimed numbers. The bike is powered by a 620 cc, parallel-twin which is claimed to produce 80 PS! Yes! I told you its hard to believe. The claimed top speed is a whooping 240 km//hr. The 0-100 km/hr is done in 3.4 seconds. 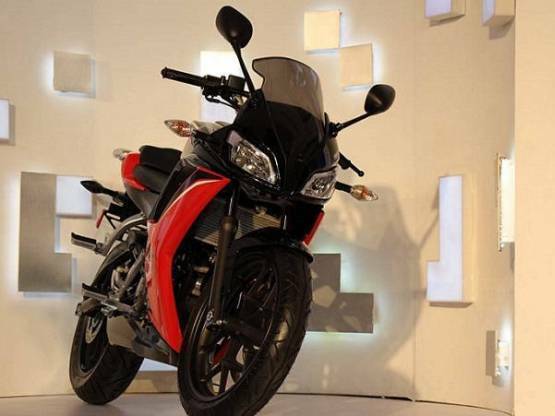 The bike is expected to launch in 2016-17 with a price tag of 3-4 lakhs. Lets hope for the best! The Yamaha MT-03 is another India-bound bike launched at the EICMA 2015. The MT-03 is a street naked verion of the recently launched Yamaha R3. The bike is powered by the same 321 cc, in-line, twin-cylinder engine that is good to produce 41.6 BHP and a peak torque of 29.6 NM. This is the same engine that works on the R3. The MT-03 is a perfect streetfighter. The growing popularity of naked bikes in India will lead to the launch of this new bike in Auto Expo 2016. The MT-03 will take on the likes of the KTM Duke 390, Kawasaki Z250, Benelli TNT 300 and the TVS-BMW G310R. The 2016 KTM RC 390 became the most popular bike among the enthusiast in a very short period after its launch. The sales were very good. The first generation has not even grown old yet and KTM is here with a new 2016 RC 390. The new bike has very few cosmetic changes other than the aluminium exhaust to meet the new Euro4 norms. The bike is powered by the same 373.2 cc engine that puts out 43.4 BHP @ 9,500 RPM and peak torque 35 NM @ 7,250 RPM. But, KTM claims to have increased the top speed by 10 km/hr. Other than this, the bike gets a new slipper clutch for improved down shifts. To know more click here. Official details about Auto Expo are out!